Hello Guys, we are with new post related to Bollywood upcoming movie of 2017. This time we sharing latest information of Varun Dhawan upcoming film Judwaa 2 release date, star cast details & story plot. This is the sequel of Judwaa film staring Salman Khan, Karishma Kapoor, Rambha, Kadar Khan & Shakti Kapoor. This is the action comedy film directed by David Dhawan released in 1997. This was the successful film of Box Office. This time this film is being also directed by David Dhawan and produced by Sajid Nadiadwala. 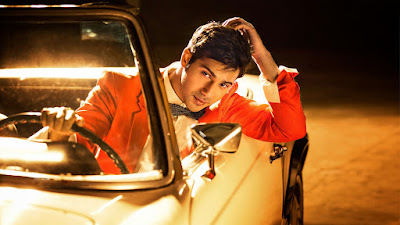 Varun Dhawan is playing main lead role. After 19 years of ‘Judwaa film, David Dhawan decided to make it's sequel of this film. According to source, actress Jacqueline Fernandez and Taapsee Pannu will be signed opposite Varun in the film. According to latest news, Jacqueline Fernandez will romance opposite Varun Dhawan in the film. Fans are excited for this film. The film will release in theaters on date 29 Sep 2017. Confirmed !